For the infertile and childless, well-meaning friends and family often offer not so helpful words. 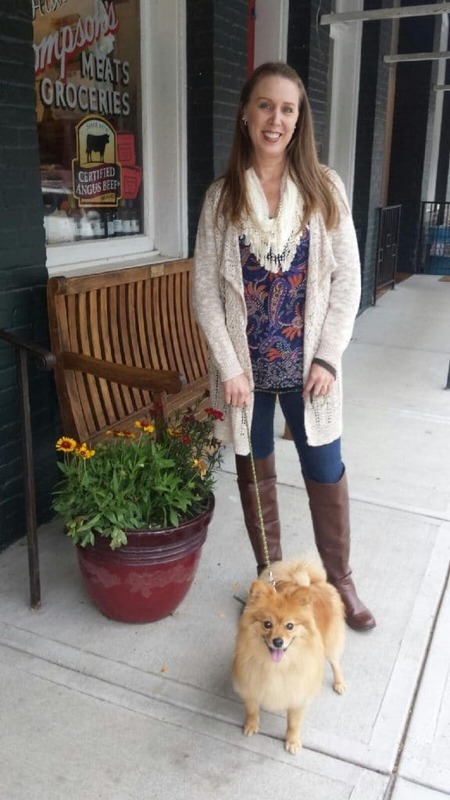 As for my friends and family… Many people tried to support me throughout my infertility and childless journey, and thankfully, a few of them knew what to say to help ease my pain. One friend in particular was absolutely incredible. She never once made me feel less than for not being able to get pregnant. Listening attentively, she let me cry and vent and gripe without making me feel like I was a complainer. Never once did she hurt my feelings, as she always knew exactly what to say. She is the most amazing person… It is impossible to fully express what her friendship means to me. As I try to figure out how I can help, what I can say, I realized something. My first inclination is to try to fix it. When she expresses a hurt or concern or something she just doesn’t like, I want to swoop in and fix it. So, I open my mouth and give advice—advice that she didn’t ask for. If the advice doesn’t help, I usually realize that I should just be quiet. But my mind keeps thinking and wondering and trying to figure out what I can say to make it better. And the next thing that pops up is some sort of joke, in the hopes of lightening the mood. Advice, Jokes, Comments: Not So Helpful . . .
And the truth is, none of that is helpful. I can’t fix this for my friend. Making light of the situation will not make her feel better. And although I am certain she knows that God is in control, as she talks about it often, I don’t need to remind her about that when she is having a bad moment. The problem is that now, I feel like I can’t say anything! Because I still don’t know exactly what I shouldn’t say. Plus, I’m not completely sure why what I did say was wrong. I don’t want to ask her because then, she’d be the one making me feel better. And she shouldn’t have to do that. All of this also made me realize that when people hurt me with their advice, jokes, and comments during our infertility battle, most of them didn’t mean to. Of course, there are the oblivious and the ones who simply don’t care to understand your perspective… But friends and family and even work colleagues and acquaintances often are simply trying to help. They just don’t know how. I decided to take this situation which is making me feel completely helpless and do something constructive with all my nervous energy. So, I’m going to write a series entitled “Not So Helpful: Things You Shouldn’t Say to the Childless.” From now until the end of October, we’re going to take an in-depth look at some of the not so helpful advice, jokes, and comments that people make when trying to “help” the childless. My hope is that this series will assist you in developing responses to these not so helpful words, allowing you to have open conversations with others about why they are hurtful. 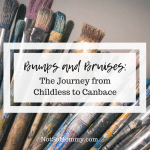 If you are not yet at a place where talking openly about your childlessness is possible, then I hope that you will pass the blogs along to others who are trying to help but falling short. In other words, you can let me do the talking for you. By reading, perhaps they will better understand why what they are saying isn’t helpful. And hopefully, they will reflect on that and develop more effective ways to support you during your struggle. Now, not everyone wants to “get it.” And I get that! This series is not for those who simply want to argue, question, or belittle. If you realize you are dealing with a troll or an overly critical person, just move on. There are plenty of people out there who want to understand our struggles and support us through our battles. Don’t waste energy on those who don’t care to empathize. 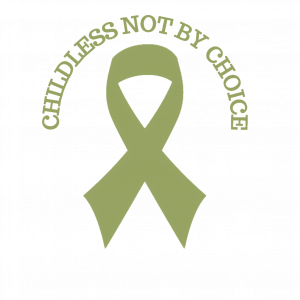 I look forward to you coming along on this series, “Not So Helpful: Things You Shouldn’t Say to the Childless.” The series’ blogs will be posted every Wednesday from now until the end of October 2018 (interrupted only by a CNBC story the second Wednesday of each month). If you have any specific advice, jokes, or comments that you’d like me to write about, please feel free to comment below or email me at notsomommy.com@gmail.com I can’t promise I’ll include them in the Not So Helpful series, but I do love to hear your thoughts and ideas. 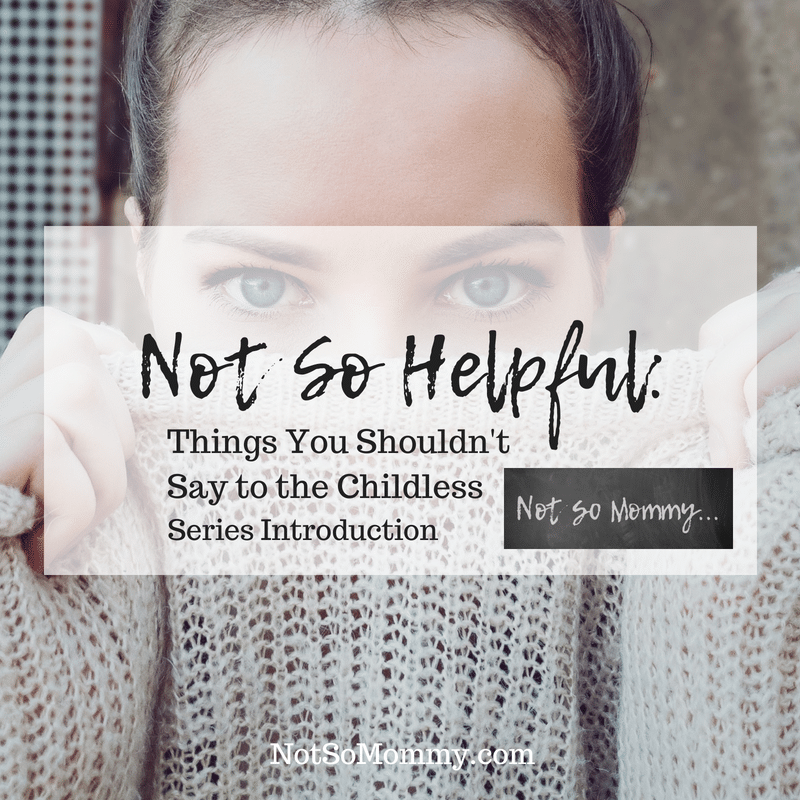 And to ensure that you don’t miss any posts in the series, “Not So Helpful: Things You Shouldn’t Say to the Childless,” subscribe to my email. You’ll receive a weekly round-up each Saturday straight to your inbox! Part 1 of the “Not So Helpful” Series will talk about advice you shouldn’t give the childless… It will begin next Wed, 25 July.